Italian poet; born at Monte San Savino, Tuscany, March 4, 1743; died at Florence Feb. 4, 1815. He studied at Sienna, where he commenced to write. The reaction of 1799 brought him to prison, and when released he lived in penury at Sienna and Florence. He afterward accepted the chair of Italian literature offered him by the Jewish inhabitants of Leghorn, where he taught until 1808. His chief production is the "Elegie," written after the death of his wife, Laura Gallico. He wrote also "La Notte d'Etruria," upon the coronation of the grand duke Leopold I.; "L'Anima," a didactic poem; and a translation of Hebrew prayers. His exchange of sonnets with Corilla Olimpica is famous. 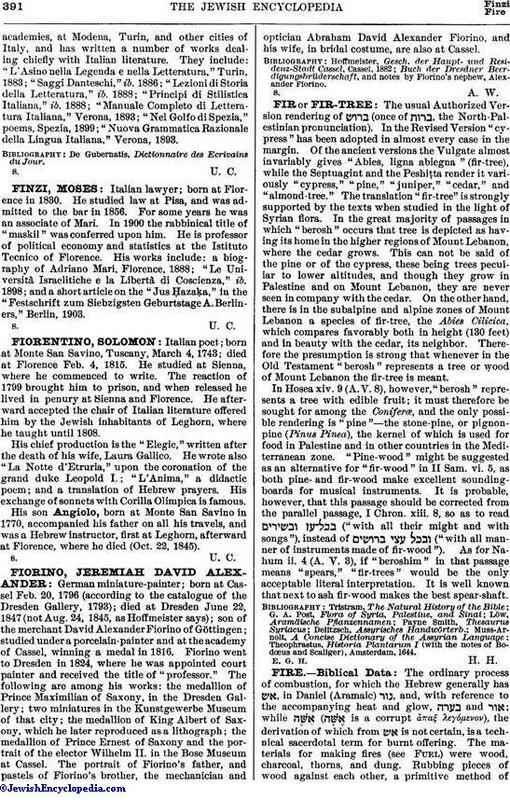 His son Angiolo, born at Monte San Savino in 1770, accompanied his father on all his travels, and was a Hebrew instructor, first at Leghorn, afterward at Florence, where he died (Oct. 22, 1845).